Matt Conway's occasional musings, rants, and thoughts. Design challenge: can you make a feature phone do things that a smartphone does. Verizon Brings Online Account Tools to Feature Phones: Tech News «. Personal challenge: I am I snob for thinking that nobody will actually use this? Surely the experience of driving through what must be mounds of DPAD-driven UI to get to some obscure DVR-programming ability through your smartphone must be totally suckful. And who do they think the audience is, these people who want to do these incredible digerati-black belt maneuvers like ordering pay-per-view movies from your phone, but won’t step up to a smartphone? 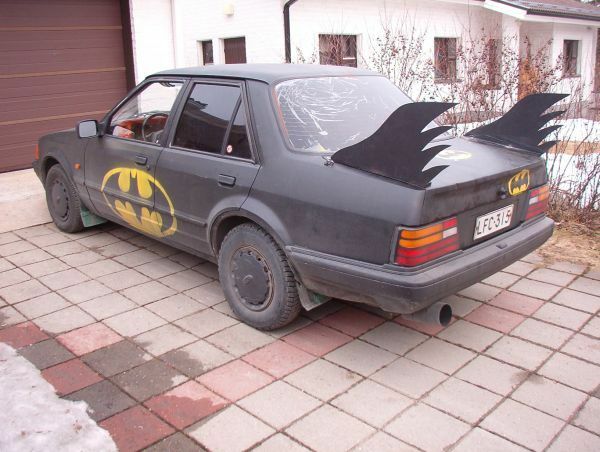 Batman drives in a Batmobile. They go together. Verizon thinks that sometimes Batman drives a Jetta with a lot of miles on it. Or am I being a smartphone-carrying snob for thinking this?